You are kind. I appreciate it. Block printed by hand on recycled paper. Say “Thank you!” in style. 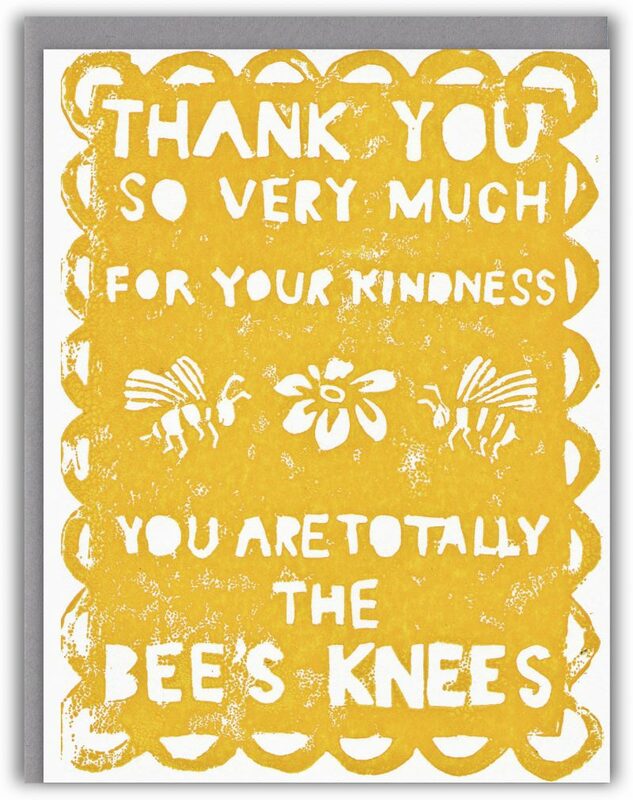 A thank you card fit for the groovy people in your life. The Bee’s Knees thank you card is 5.5″ x 4.25″, envelope 5.75″ x 4.375″. Notecard interior is blank. Block printed by hand on recycled paper.